Mr. Sullo describes his experience during the Vietnam War. 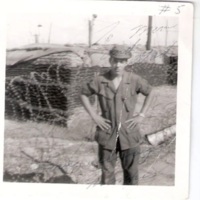 Photo of Frank Sullo in front of barbed wire. "To Mom and Dad" is written on the top right corner. 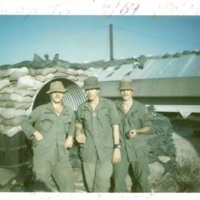 Three unidentified soldiers. 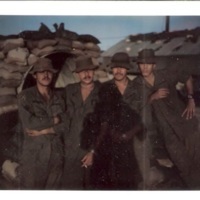 Frank Sullo is the fourth on the right. 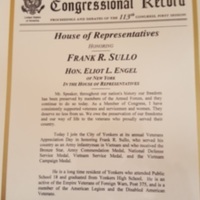 Frank Sullo in between two comrades in Vietnam. 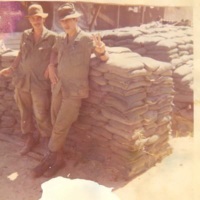 Unidentified soldier and Frank Sullo (man on the right). 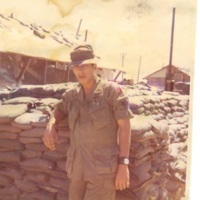 Frank Sullo at a base in Vietnam. 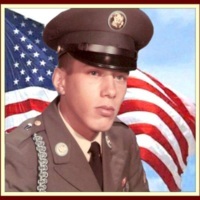 Frank Sullo military service photograph.